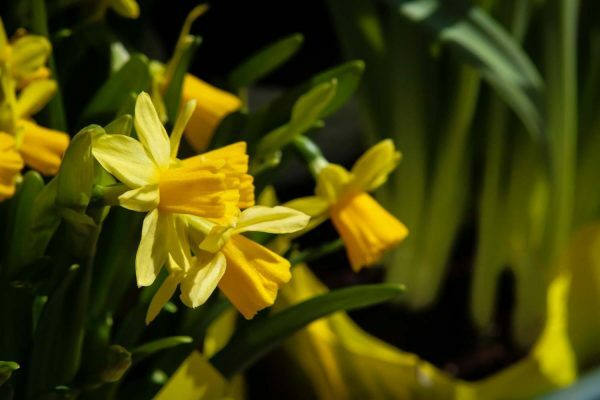 The second episode of New England Living, airing on April 9th at 11:30 a.m. on WBZ | CBS Boston, focuses on the charming Cape Cod town of Chatham. 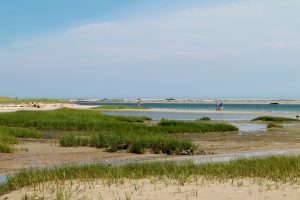 With two world-class resorts and several inns, dozens of restaurants and shops, and two lighthouses, Chatham is the very embodiment of a postcard-perfect New England seaside town. 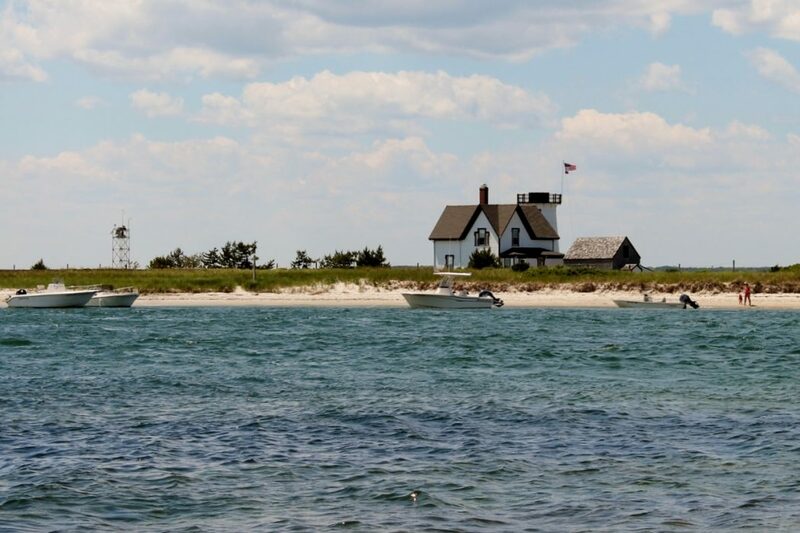 Comprised of eight miles of sandy beaches that form the barrier around the islands of North and South Monomoy, this is the perfect place to get outside and take in the seaside sights of Chatham. Walk all the way to the tip of the spit of land and you’ll be rewarded with close-up views of Stage Harbor Lighthouse. The trail system is open year-round; the Visitor Center is open seasonally. If you’re looking for local color, this Main Street mainstay is the place to be. The Squire is known as much – or more – for its clientele as it is for its food. The “bar side” is the more rustic choice, as well as the more colorful, where locals gather to share a beer and all the news of the day. The “dining room side” has a smaller bar with stellar people-watching potential. Don’t judge a book by its cover if you’re hanging at the Squire, because the guy sitting next to you in waders and a worn-out Barbour jacket is as likely to be a best-selling author as he is a local fisherman. Open daily, year-round. 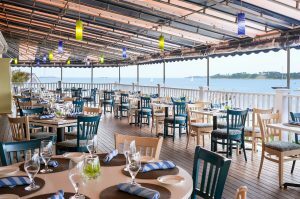 You don’t need to be a guest at this five-star oceanfront resort to enjoy a meal at the Outer Bar. Although it’s positioned on a spit of land with ocean views on either side, the view of the pool just might prove more enticing; it’s that beautiful. The oversized wrap-around porch is the preferred seating to best enjoy the landscape. If you’ve timed your visit right, move down to LiBAYtion, the poolside bar, for an après-meal cocktail (opens to guests not staying at the resort at 4:00 p.m.). Outer Bar & Grille is open from mid-May through Columbus Day. Please check with the resort for additional information regarding hours of operation. 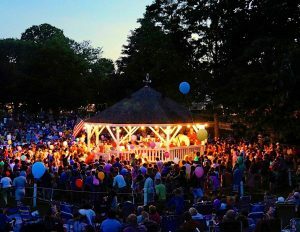 A Town Band concert in Chatham; photo by Carol Lewis. This is one of those ‘you have to see it to believe it’ kinds of things. And Chatham Town Band Concerts are very much a “thing,” so much so that when people started setting up their chairs to claim a front row seat too early on show days, the town enacted an ordinance dictating an acceptable “dibs policy.” The skilled band takes to the bandstand each Friday evening for a performance that includes classical music, pop, oldies, and marches. When it’s a march that’s on deck, props are handed out so that little kids can parade around the bandstand… seriously. Concerts are held every Friday evening at 8:00 from the last week of June through Labor Day weekend. If you’re visiting Chatham and would like to take a little something home to remind you of your trip — something other than a plastic lobster or pound of saltwater taffy — you won’t go wrong with Yankee Ingenuity, where you’ll find fun, funky items for the home, hand-milled soaps, cool jewelry, and photos of Cape Cod by the shop’s owner, photographer Jon Vaughan. Nothing in the shop screams mass-market retailer and the prices will encourage you to grab more than one item. Open year-round. 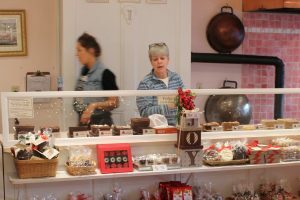 While their fudge is absolutely yummy, it’s the chocolate-dipped pretzels and Oreos, and the handmade truffles, that make our personal list of totally-worth-the-calories splurges. The vintage shop is so filled with decadent treats you won’t be able to resist. The fudge is made in an antique copper vat at the front of the shop. The chocolate candy is made, with love, out back. Open year-round. Top photo: Jennifer Kain DeFoe.